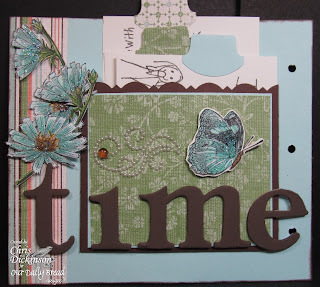 Welcome to the Technique Junkie Newsletter Design Team sneak peek blog hop! Today we are celebrating the launch of the NEW TJ Emboss or Die CD! This Cd has 79 pdf tutorials with ideas for getting the most from your Embossing Folders, Die Cut Machines and Electronic Cutters.The tutorials are in step-by-step format with pictures for each step and include fabulous artwork examples from the TJ Design Team. The CD is $17.95, and can be ordered directly HERE or from the Technique Junkies home page. Pre-orders are being taken today, and the CD will be mailed the first week of March. 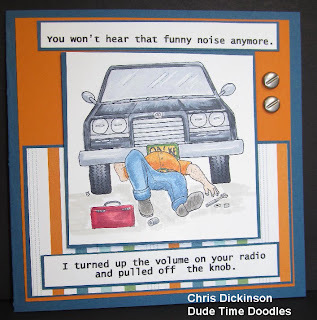 ON this card, I used the Cricut Highlights Technique. Super fun! To check out even more on this HOP go to Pat's Blog! She has all of the links there! Have fun and get inspired! If you are a TECHNIQUE JUNKIE the online edition is now available and the paper editions have been shipped! 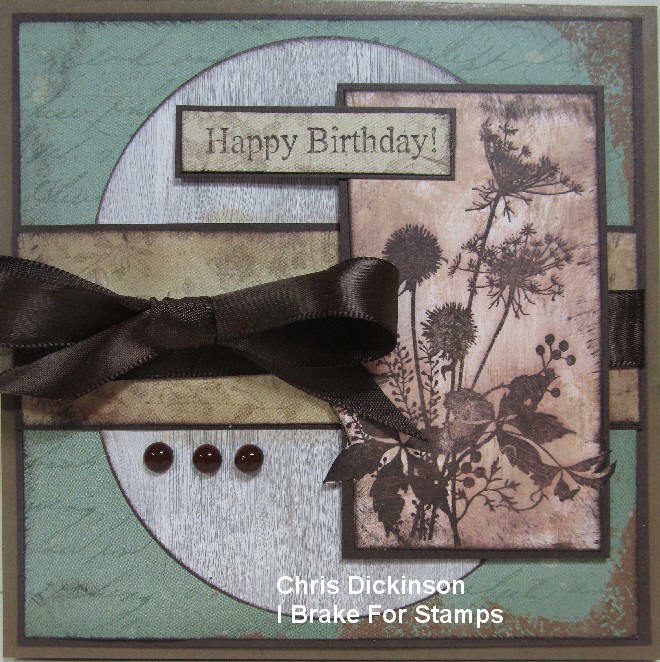 This card features the technique Faux Barnwood available in the NEW Technique Junkie Issue available now!!! While you are shopping be sure to save yourself 10% by using the code Save10Chris. Technique Junkies also has a NEW CD out called Emboss or Die! There will be a Sneak Peek Blog Hop for the new CD, starting on Tuesday, February 1st. You will love what the Design Team has created too! 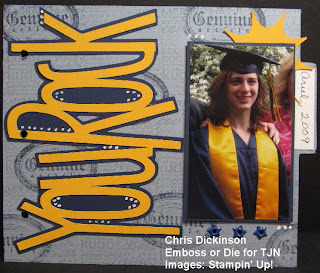 If you loved the Fancy Folds and Motion Paper Crafts CD, you will love Technique Junkies newest CD: Emboss or Die: Great project tutorials for your Embossing Folders, Die Cuts Machines and Electronic Cutters. This CD has 79 techniques for using Cuttlebug, Cricut and Big Shot. Machines and more. The CD will ship the first week of March. You can pre-order the cd by clicking the link below! Today, we have Enrichment classes and I need to put the finishing touches on my stamp class supplies to make sure they are all packed! Thank you for stopping by! Keep warm and have a great day! I also appreciate your words of encouragement. They make my day! 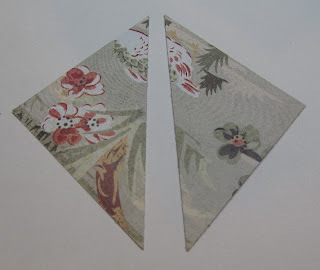 These handy bookmarks fit right over the corner of your page! I would LOVE it if you played along in this week's challenge! 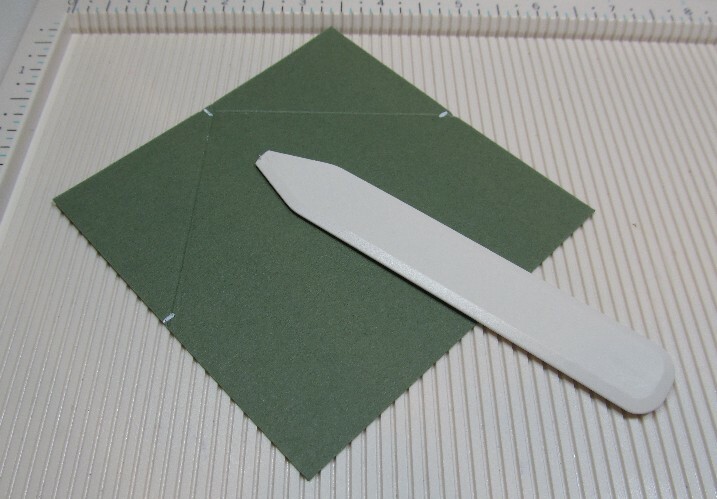 You do not have to make a corner book mark. You can make any kind that you desire! 1. 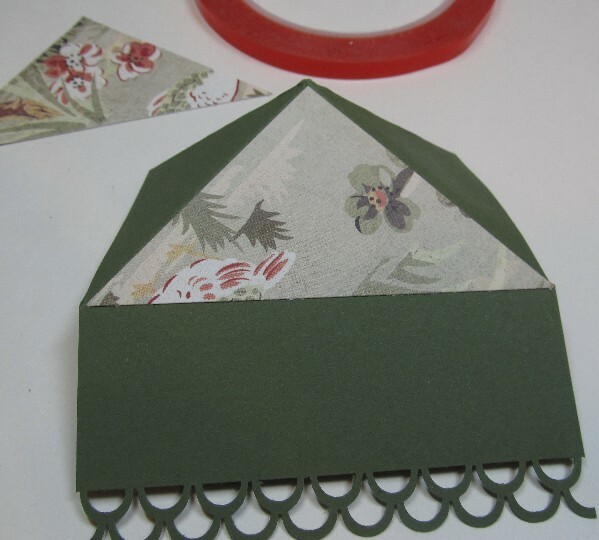 Take the 4” x 4” piece of cardstock and mark in the center of three of the sides. 2. 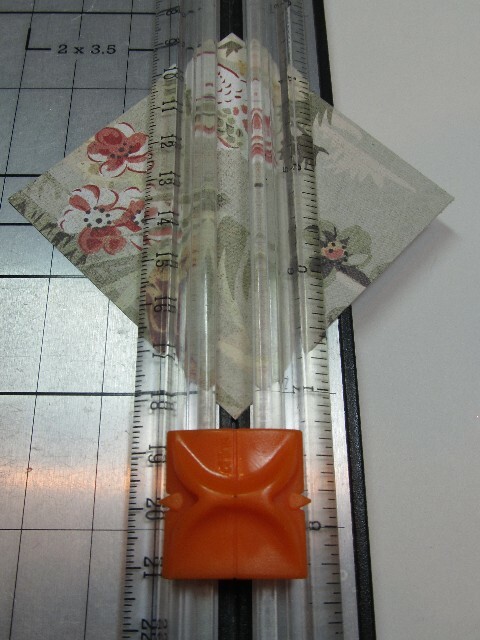 Align cardstock onto the scoring tool diagonally and score from one line to another. 3. 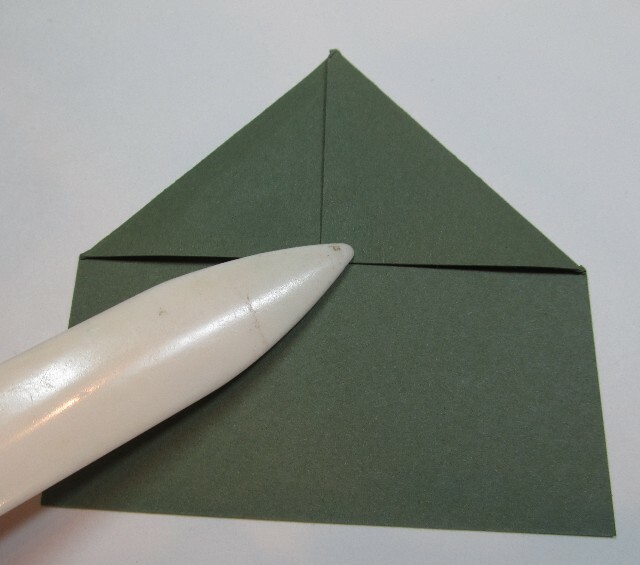 Turn the cardstock and line up the other two marks and score. Step Four: Fold the scored lines. 5. 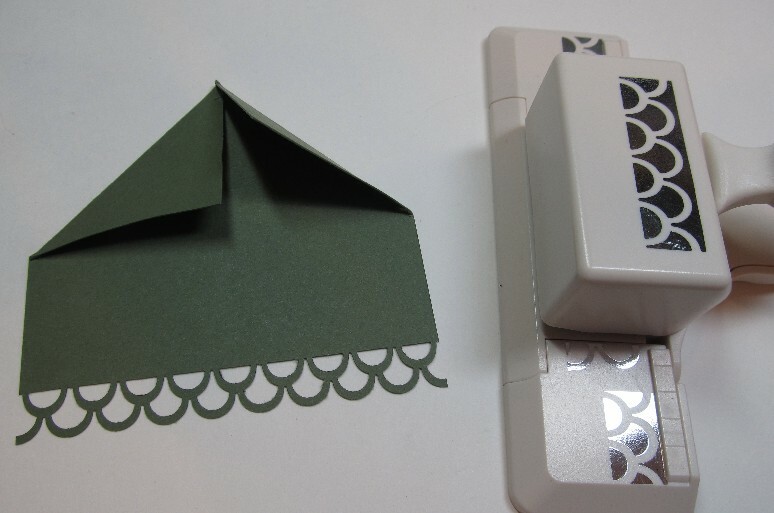 Optional: If desired, using the border punch, punch along the straight edge. Step Six: Place the 2 ¾” x 2 ¾” card stock on the paper trimmer diagonally and cut in half. 7. Adhere one triangle to the front of the corner bookmark using the adhesive. 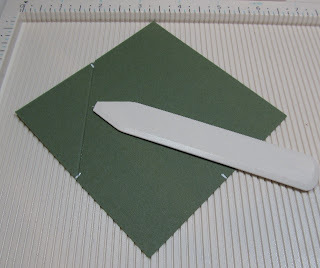 Step Eight: Flip the bookmark base over and put adhesive across the triangle flaps. Step Nine: Adhere the second triangle to the bookmark. Step Ten: Finish as desired. 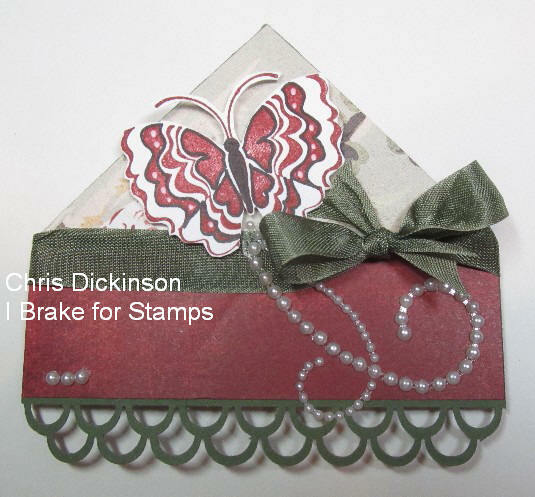 I used the Things with Wings set from I Brake for Stamps. 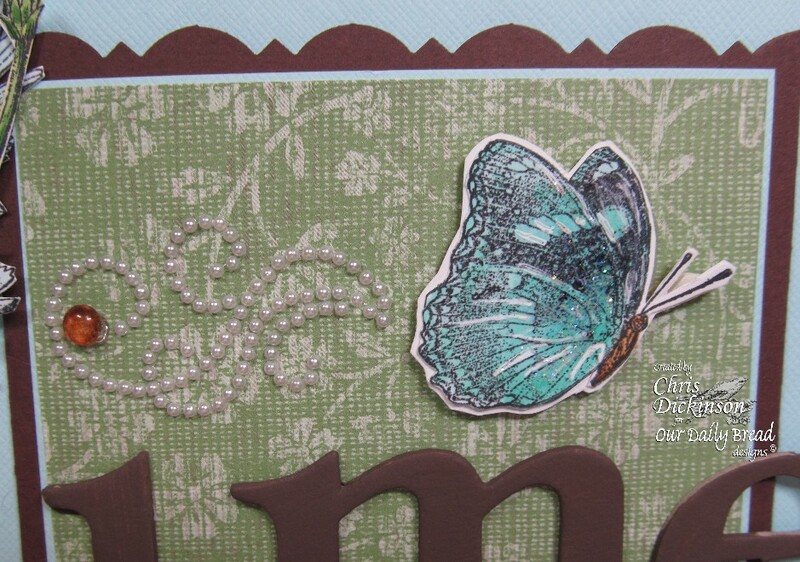 Della has SOOO many gorgeous butterflies and other things with wings in her store! Go take a peek and do a little shopping! While you are shopping be sure to save yourself 10% by using the code Save10Chris. I used the SCS Sketch Challenge today along with Marks Finest Papers Butterflies, Dianthus and Flourishes.... Such a pretty set! Colored with Copic RV14, Rv000, RV19, YG63, YG67 and YG00 - threw in a bit of BG000 for shading.... and Stickles to add a bit of glimmer! 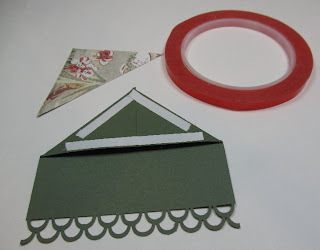 If you would like to play along click HERE and link up your project! Thank you for stopping by! Have a wonderful day!!! I hope this finds you having a wonderful day! I thought I would start my post with 2 of our fur babies. For those of you who were here in December, we lost a beloved pet and went to an animal shelter and came home with three fur more fur babies. Two of which, we were "foster parents" for, but we adopted them last week. 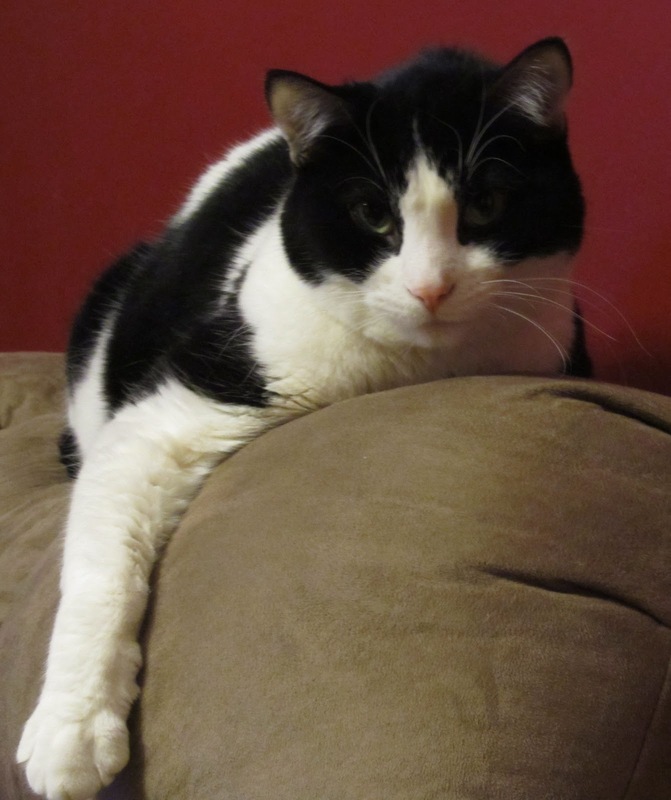 This first picture is of our kitty Bouncer. He is 6 years old and has been with us that long too. We got him when he was 12 weeks old. He is enjoying having younger cats to play with. With our cat that passed away (Sheba, who was 18 yo) he behaved like an old man and didn't play much, but since getting younger cats in the house, he seems to have recovered his youthfulness. 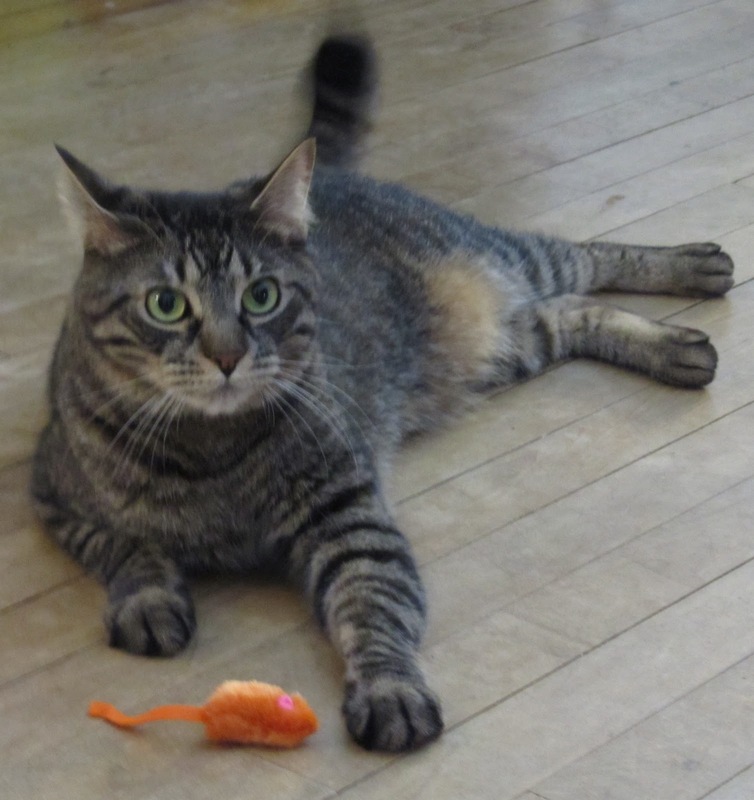 This is Stewart, one of the cats that we recently adopted from our "foster care." He loves to sit on my lap, but recently has taken to my 9 yo daughter. He will play fetch when we throw those little toy mice around and even bring it back to you to throw again. 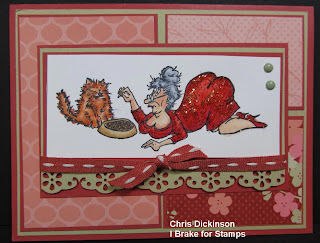 Since I was sharing our beloved fur babies, I thought I would share this card I made with the HUMOROUS SENIORS set from I Brake for Stamps. 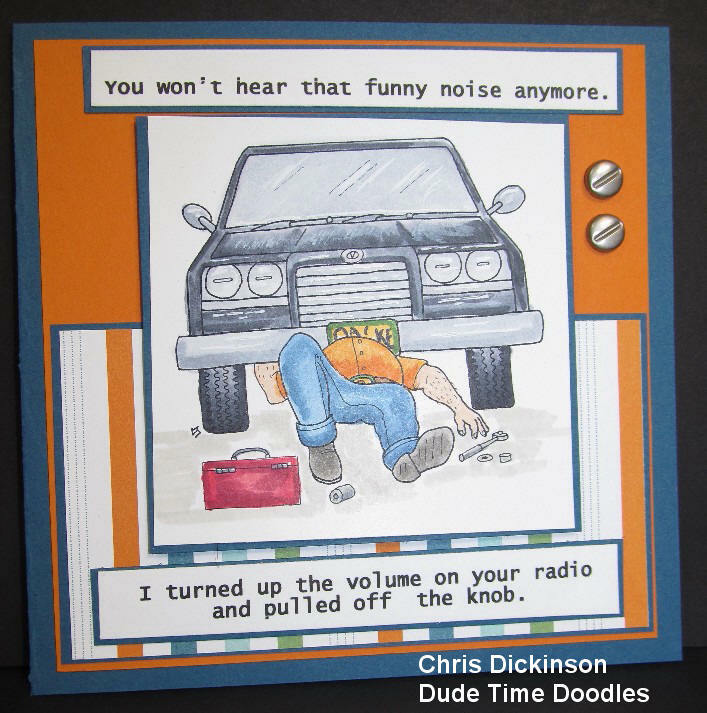 These fun images are also available in individuals too. You can SAVE some money as you shop at I Brake For Stamps, by using the discount code SAVE10Chris to save 10%. We are having a fun challenge over at The Brakefest Club with a LOVE or Valentine's THEME! I would love it if you came to play along HERE. Here is Kibbles and Betts! The Blog Hop starts at 8 am Wednesday morning. So some of the posts may not be up yet! Now about this hop....You are in store for some FUN as you HOP through these new DUDELY Images! 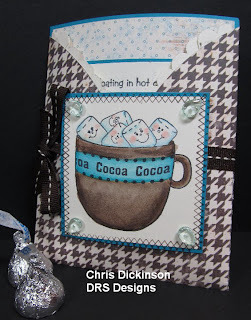 While you are hopping be sure to leave some love - one of the Design Team Members will be secretly chosen as the "MYSTERY HOSTESS" of the blog hop and one lucky commenter will receive one of our new release images for free or any individual image of their choice. This Blog Hop does not have a starting and ending point so no matter where you HOP on you are in the right place. Just keep going. Don't forget to leave some love everywhere you land, including here! Once you have gone full circle you have completed the Hop. We have eight new images to share with you this month and as you hop along we're sure that there will be something that inspires you! To start the hop off in the right gear we bring you Undercarriage Craig. I thought I would bring you a smile with the funny saying... I used Microsoft Word and printed it up with my Digital image! From here, you will want to HOP on over to the Dude Time Doodles Blog next! Thank you for stopping by! I hope you have a wonderful day!!! 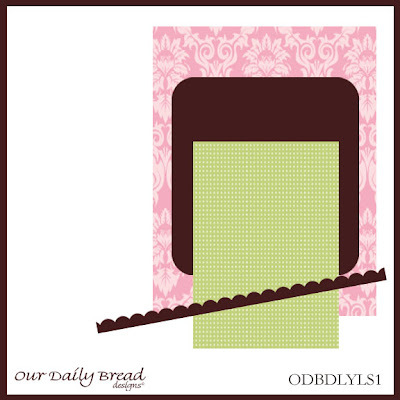 ODBDLYLS1 - WEEK 4 SCRAPBOOK PAGES! 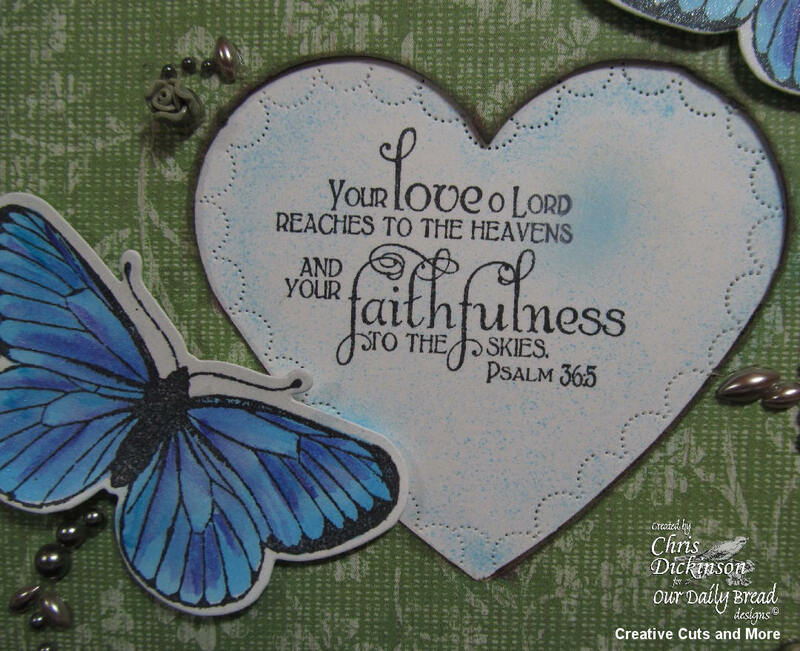 Hello and Welcome to my blog and Week 4 of Our Daily Bread Designs Scrapbook Challenges. Our challenge this month is to create a scrapbook page with this sketch! 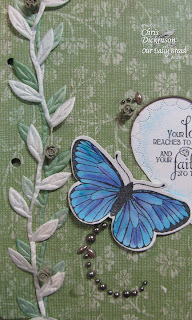 This week, I actually have several pages done using the BEAUTIFUL Our Daily Bread Designs stamps... These stamps lend themselves beautifully to every paper crafting venue! When you play with us...This sketch can be used for any page size, and you can add as many or as few embellishments as you want. Use your creative imagination. Here are a few more ideas for you....Turn this sketch on the side, make those rectangles into circles or ovals! 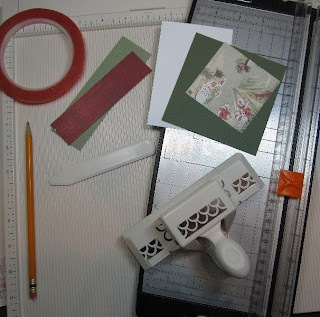 This little sneak peek that I posted on my blog last week is an album cover for a scrapbook that I am creating for my mother-in-law's birthday gift. I will be creating pages for this album and sharing them with you over the next few months! This chipboard album comes from Creative Cuts and More and is called the Heart Shaped Window 6 x 6 Album. The leaf ribbon is from Really Reasonable Ribbon. 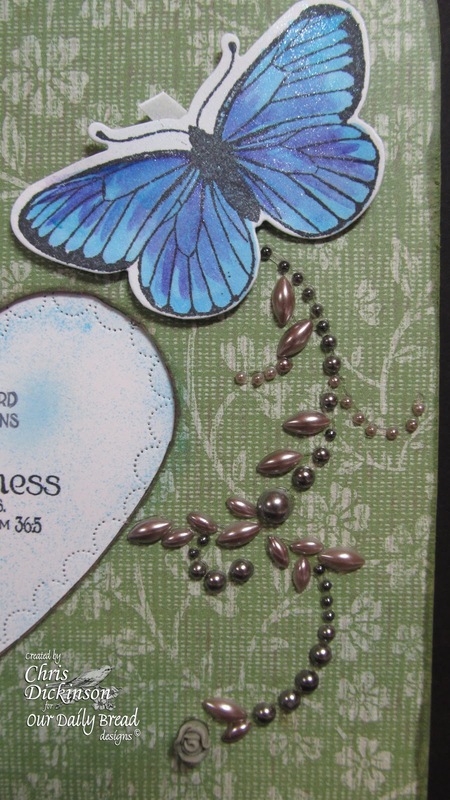 I also used Creative Inspiration Paints Aquamarine and Light Purple. This paint adds just the right amount of accent and shimmer! The second page of our album is this picture of my husband and I! As soon as you pull a camera out, his eyes close or he grimaces! 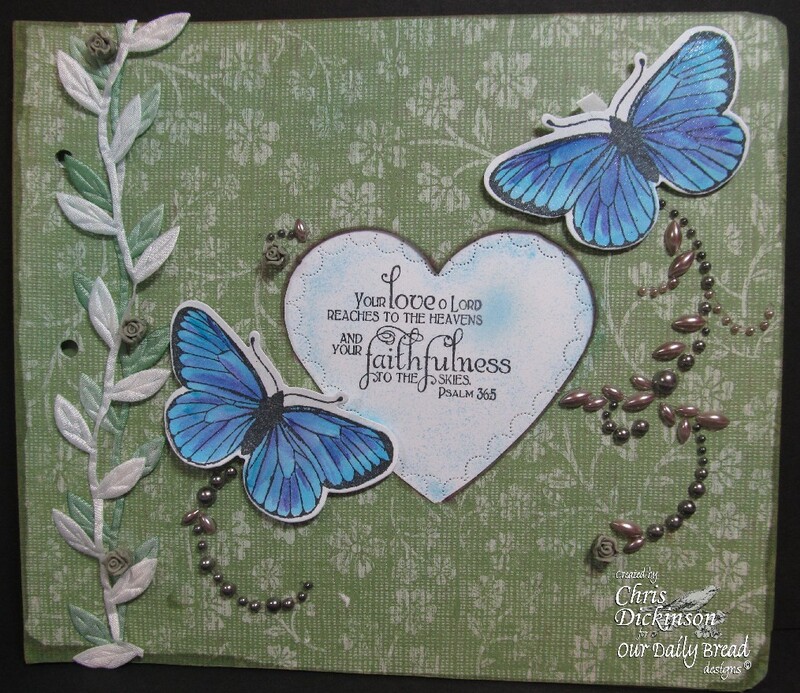 On this page, I used the Large Butterfly Background from Our Daily Bread Designs. 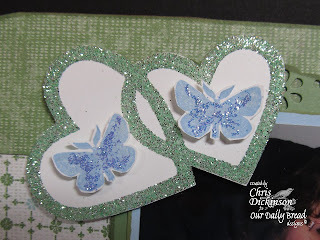 From Creative Cuts and More, I used the Petite Heart die cut in double sided adhesive and added Martha Stewart glitter to it! On my third page, I tried to incorporate the sketch here, too! I created a pocket with a 4" x 4 1/2" card stock and scoring at a half of an inch of three sides. I mitered the edges and using Killer Red Tacky Tape adhered it to the album. 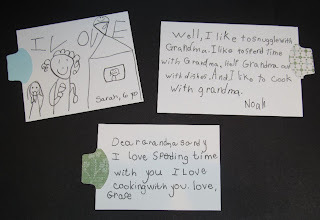 I had three of my children write a note of things they love to do with Grandma and added a punch tab to them. 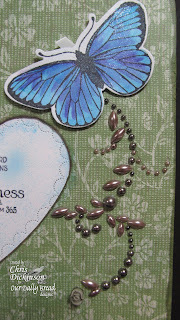 The stamps that I used the stamp set called Don't Worry and the ZVA Pearls Double Flourishes. 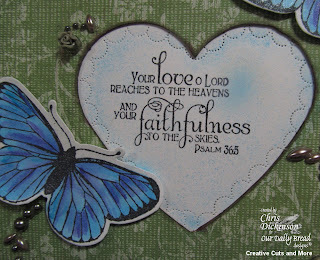 On the final page for this post, I flipped the sketch a bit and used the With Heartfelt Sympathy and the Faith from Our Daily Bread Designs and the ZVA Pearls Double Flourishes. 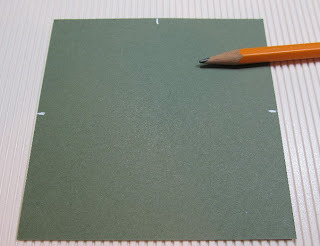 I painted the Making Memories chipboard with Making Memories Paint. 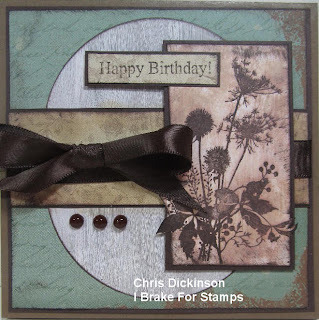 I also used a corner rounder and a sponge with Chocolate Ink. For some more inspiration and to see an absolutely AMAZING page check out Fran Gumprecht's page! You can get some more inspiration by checking out the ODBD Blog! The challenge runs through Monday, January 31st, at 6 pm EST. You have just under a week to get your entries in! We would love to see great participation with this first challenge! I hope you are as excited as we are! You can enter as many times as you like, just remember to link your creations to this first post. We will select a winner from ALL of the January scrapbook challenges for a $25 gift certificate to the ODBD Store! Thank you for stopping by! Have a blessed week! A CUP OF COCOA, ANYONE? Hello Everyone- I hope you enjoyed your weekend! 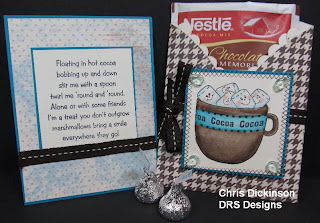 If you recall I as asked to participate in a "By Invitation only" opportunity from DRS DESIGNS. 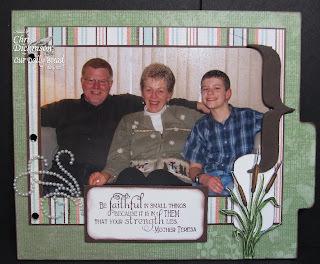 The shipping was VERY fast and they have a great variety of images for all occasions! I had so much fun looking through their store!!! You will too. Be sure to check it out and let them know I sent you over! 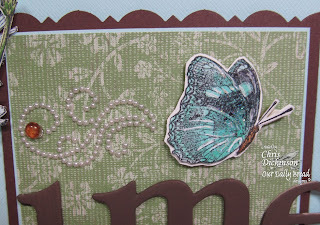 This stamp is so much FUN to play with and color!!! 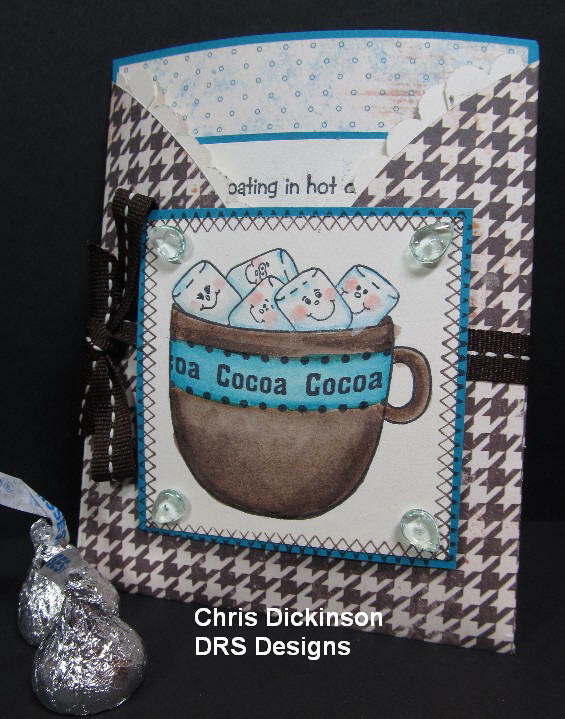 I have used it to make several little "cocoa" gifts for this season! 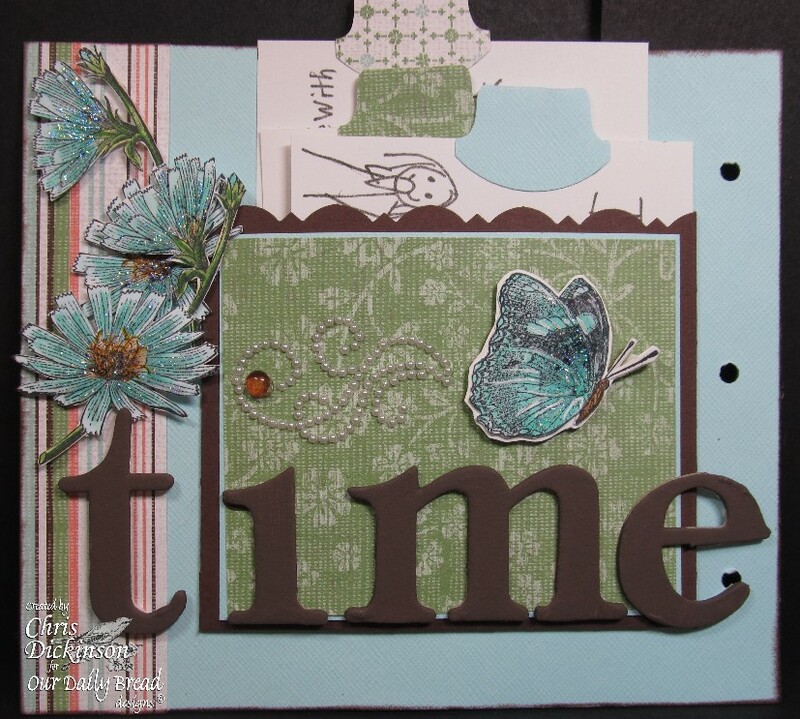 I used the Technique Junkie Newsletter's Fancy Fold and Motion Cd and the technique called Curved Pocket card. We have our Enrichment Classes today for our Home School Group. 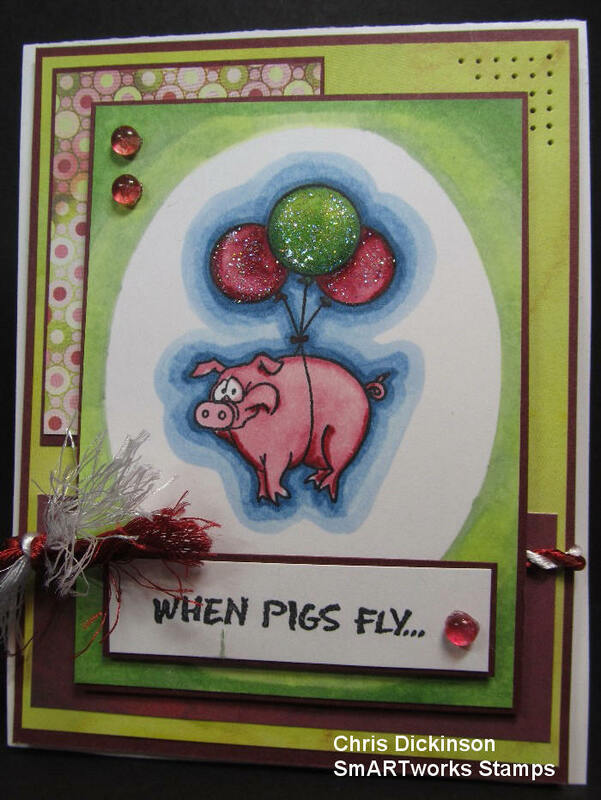 This is one of the cards the children who are taking my Stamp Class, will be making. :) I am looking forward to our class! It is so much fun and the children are a wonderful group of kids! Thank you all for stopping by! I appreciate you stopping by and leaving me your comments! We are preparing for the big game between the Packers and the Bears in the play offs... I will watch it passively. Shhhh, don't tell anyone, but I really do not care about football! LOL I will have it on and probably craft while I watch it and glance at it every now and then! So as I say preparing... we will probably have a veggie tray to munch on and some other goodies I bought from my girl friend Christina who sells Tastefully Simple. I created this card for several challenges on Splitcoast... 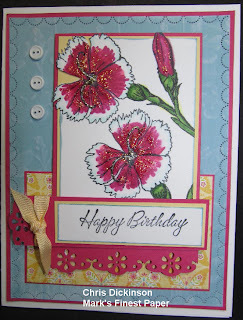 I used the Color Challenge (Baja Breeze, Bravo Burgundy and Pear Pizzazz) and the Sketch Challenge for this past week too. I used the Technique Junkie Newsletter Dec 2009/ Jan 2010 Issue and Outside the Lines technique. I hope you enjoy the rest of your weekend! Thank you for stopping by! Hello Everyone... It looks like SHARK BAIT BURTON is headed for trouble! 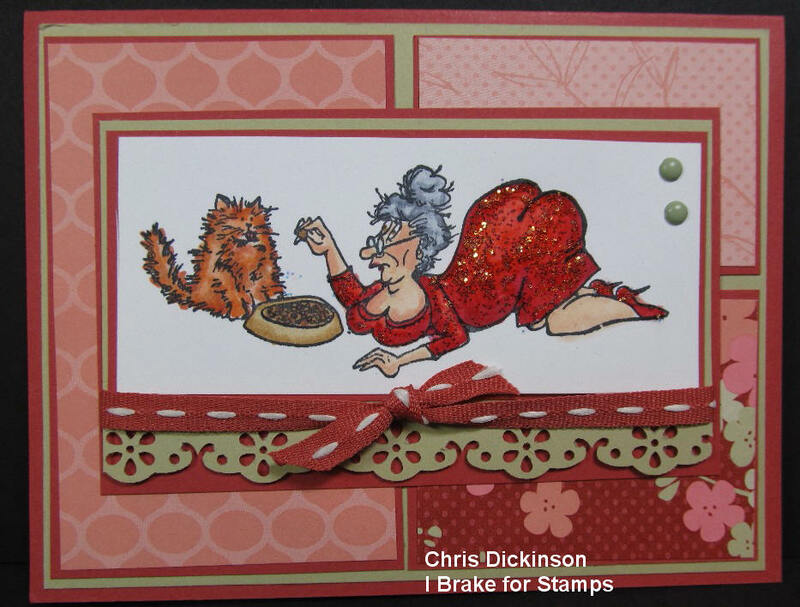 This is a Sneak Peek for I Brake For Stamps and is part of the HUMOROUS SENIORS line. These images were SO MUCH fun to color!!! I will share a few more over the next few days! This set will be PERFECT for your fun relatives or friends for all different occasions! 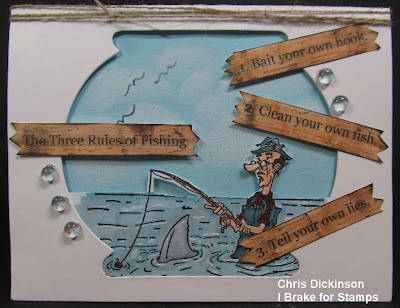 The card base is the fish bowl die cut from Creative Cuts and More! I created the "wood signs" by printing up the words on my computer and coloring the background with Copic Marker E33 then using a water based brown marker to draw the wood grain. Once I was done with that, I swiped my Espresso Brown ink pad across the sides and along the words to give it a bit more distressed look. 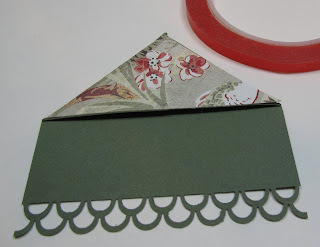 To create the clouds, I cut a piece of scrap paper to shape them and then grabbed my white craft pad and a sponge dauber and created the cloud background on the Soft Sky card stock. I stamped the image and colored it up with my Copic Markers. To create the high lights in the water, I used my white gel pen! Thank you for stopping by! Have a wonderful wintery day! BLOGGERS CHALLENGE #195 - It is a Sketch!